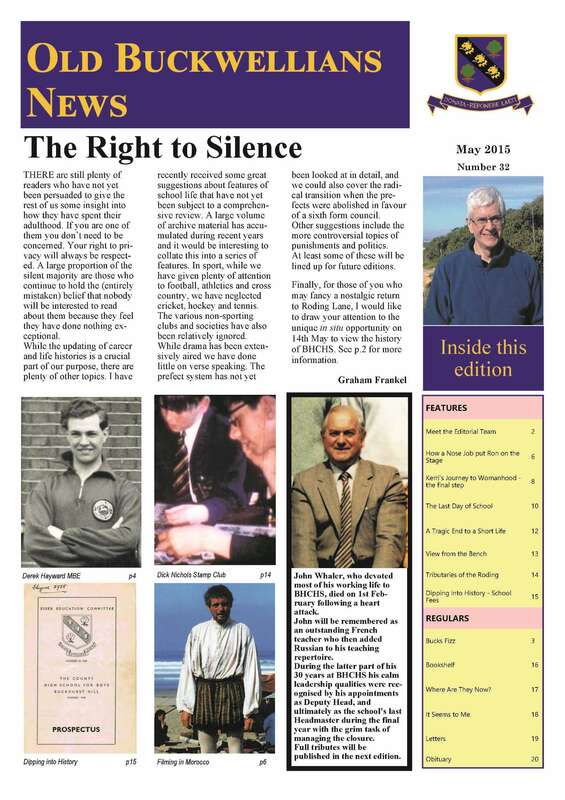 Old Buckwellians News is the place to go for news and features about former pupils and teachers of BHCHS. 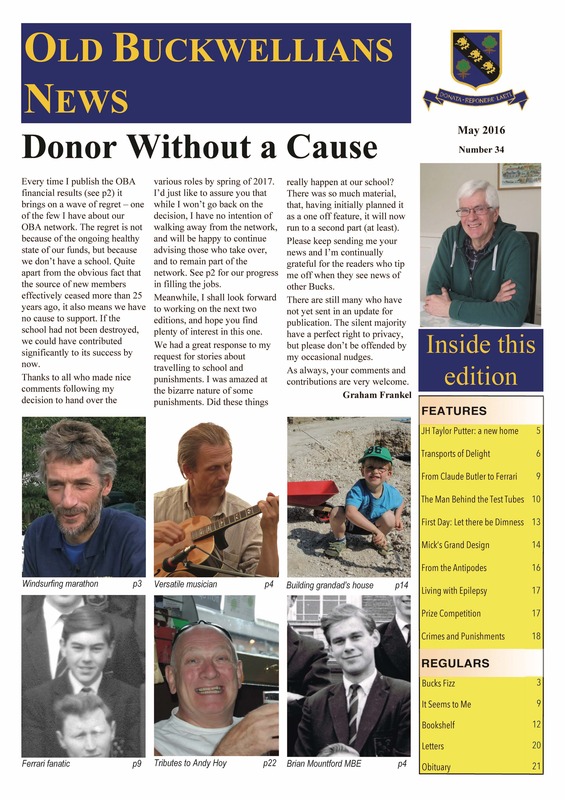 Newsletters had previously been published for many years by the Old Buckwellians Association. 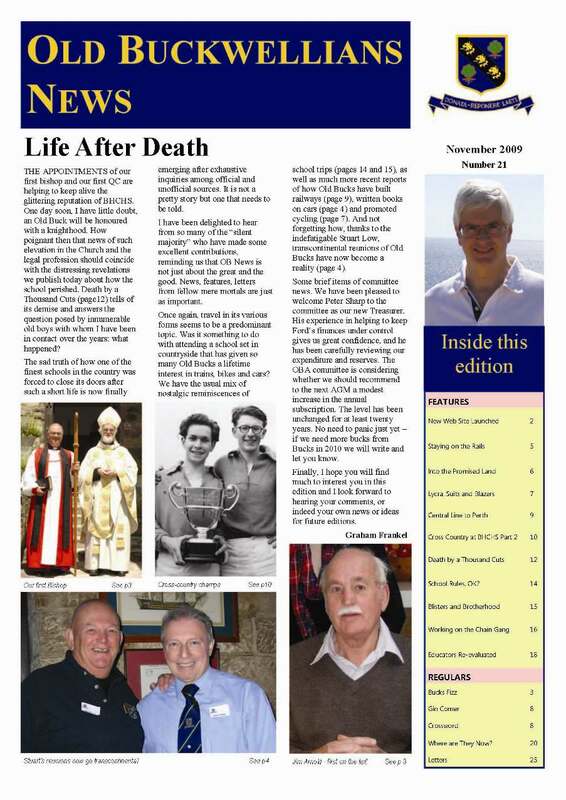 But the first edition of Old Buckwellians News in its present format was November 1999. 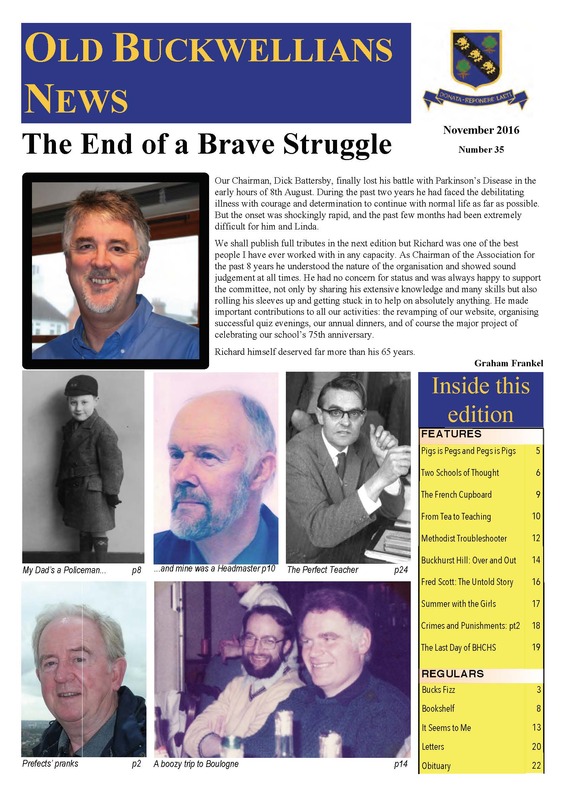 Since then, the magazine has grown alongside the development of our remarkable network. 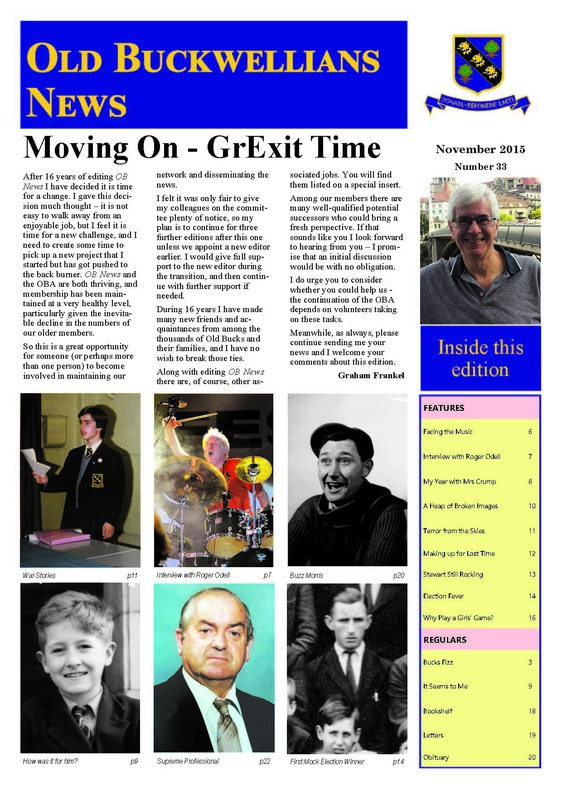 Starting as a modest 12 page newsletter that was sent to just over 300 people, OB News rapidly increased its circulation to more than 2,000 as a result of the interest shown as more Old Bucks were traced during the following years. In 2005 we published the first colour edition, and all subsequent editions have been in full colour. 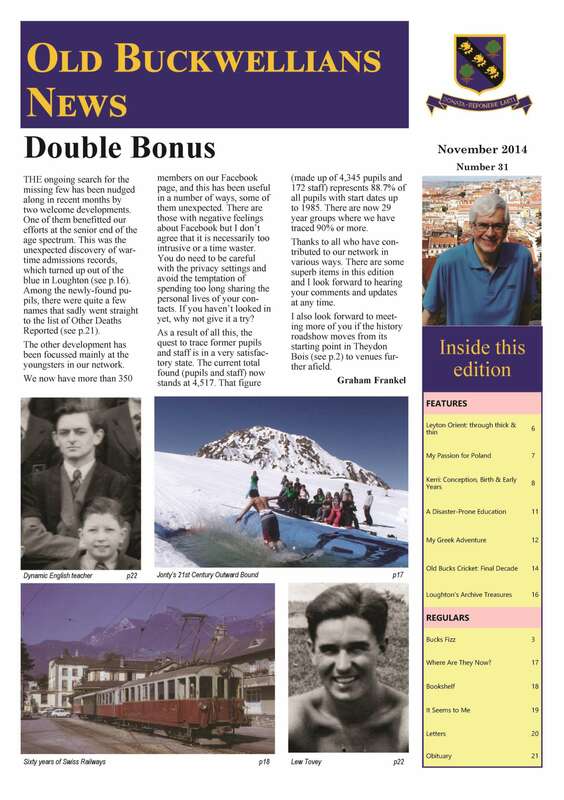 Since the first edition in November 1999, Old Buckwellians News has included 884 pages and 877,954 words. To see the front page of any edition click on the one of the links below. 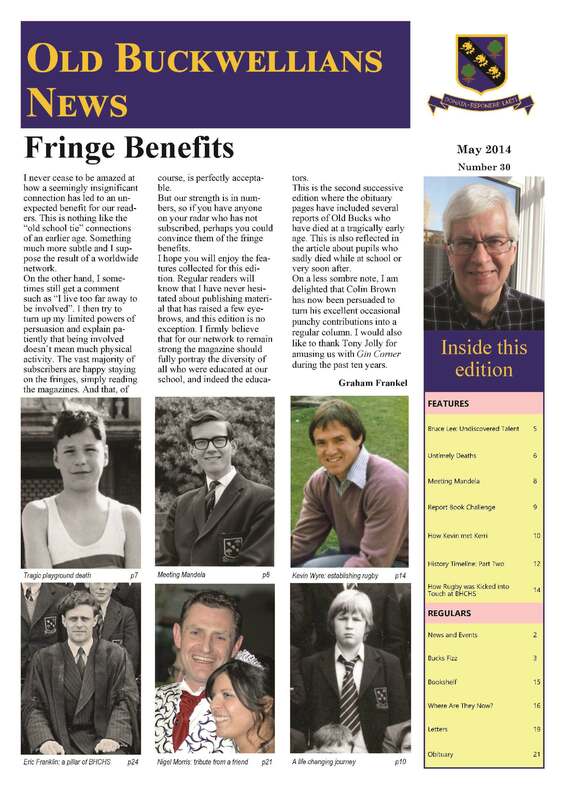 Old Buckwellians News aims to include a balance of items with contributions from all eras of the school's existence. Not everyone wishes to wallow in nostalgia. Much of the content focuses on the current and recent activities of former pupils and teachers. At the same time, some of the features have reviewed particular aspects of school life, such as tracing the development of school plays, and comparing the athletic achievements of sporting heroes during different decades. An important principle that I have maintained from the start of the project is to avoid "rose tinted spectacles". While many look back fondly on their school days, others did not especially enjoy school. Our school, like all others, had plenty of faults and problems. I have been very happy to publish features that cover the whole spectrum of opinions, and will continue to do so. You can view and download complete editions - click HERE. Back numbers of the printed editions are still available. The front pages are shown below. Please contact Graham Frankel for more information.